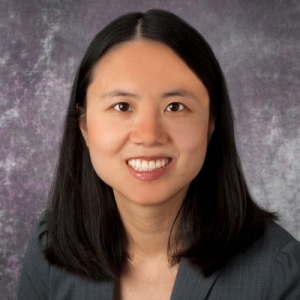 Alicia Au, MD, MS, has been promoted to associate medical director of the Pediatric Intensive Care Unit at UPMC Children's Hospital of Pittsburgh (CHP), effective August 1, 2018. Dr. Au is an excellent clinician who is deeply committed to improving outcomes in critically ill pediatric patients. She is an assistant professor of Pediatrics and Critical Care Medicine who was recruited to the Division of Pediatric Critical Care Medicine after completing a pediatric critical care fellowship at CHP. She was also a T32 research scholar studying pediatric neurointensive care and resuscitation at the Safar Center for Resuscitation Research and has since developed a flourishing research portfolio, for which she has received many awards at the local and national level. Recently, Dr. Au was awarded a mentored patient-oriented research career development award from the NIH entitled “Mixed Graphical Models for the Prediction of Neurological Morbidity in the PICU” that identifies an ICU-related neurological vulnerability in critically ill pediatric patients. Dr. Au holds an MS in Clinical Research from the Institute for Clinical Research Education at the University of Pittsburgh. She completed her Pediatric residency at Children's National Medical Center and is a graduate of Jefferson Medical College.